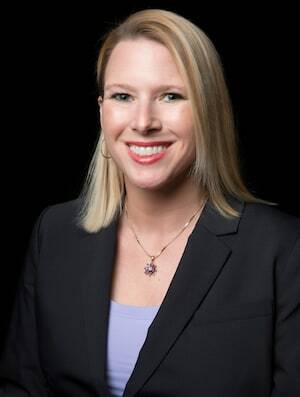 McKenna Harper is a partner with Lubel Voyles LLP based in Houston, Texas. McKenna has experience representing both plaintiffs and defendants in a myriad of civil disputes throughout Texas. McKenna has successfully represented clients in personal injury, wrongful death, products liability, premises liability, and maritime cases. McKenna has also represented clients in commercial litigation in a wide array of business disputes, including claims relating to breaches of contract, common law fraud, misrepresentation, and deceptive trade practices. McKenna, born in McAlester, Oklahoma, received a B.A. in History from Trinity University in San Antonio and her Juris Doctorate from the University of Oklahoma College of Law, in Norman, Oklahoma. Successful settlement reached in wrongful death case involving a defective child restraint and defective vehicle. Successful settlement reached in wrongful death case involving an explosion at a water treatment plant. Successful settlement reached in injured seaman’s case under the Jones Act. Negotiation of a seven figure reduction in a Texas Medicaid lien. Successful settlement reached in motor vehicle accident involving a bull. Successful settlement reached in wrongful death case involving an electrocution. Successful representation of claimants in investment recovery/securities fraud claims before the NASD. Defense verdict for small business owner in a parking lot construction defect case. Successful defense of construction company for mechanic’s lien claims.